Hanoi (VNA) - Convenience stores with many advantages are expected to dominate the local retail market, according to experts. Many famous retail brands have entered Vietnam market like Circle K of the US opening its stores in Vietnam from August 2008 or Shop & Go of Singapore opening its stores from 2005. 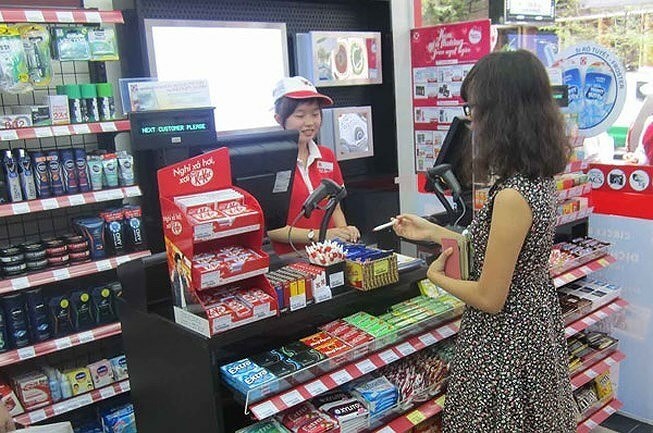 At present, in the two big cities of Hanoi and HCM City, Circle K has more than 300 stores while Shop & Go has more than 160 stores, reported bnews.vn. Convenience stores are well received by consumers, so not only foreign businesses expand their markets, but also many domestic enterprises are constantly developing their convenience store chains. In December 2018 alone, Vingroup’s retail arm, VinCommerce, opened 238 VinMart stores nationwide, bringing the total number of its convenience stores up to 1,700 in Vietnam. According to CBRE Vietnam, a real estate management and consultancy company, Vietnam’s retail market has seen a strong competition between foreign and local investors in developing their convenience store systems. They will expand their market shares by opening more convenience stores. VinMart has planned to open other 3,000 stores in the future on the domestic market. Meanwhile, GS25, the convenience store chain of the Republic of Korea, has entered the Vietnamese market and has planned to open more than 2,500 stores. This is a sign of strong development of this market this year and beyond. Hanoi targets to have 1,000 more convenience stores by 2020 under a plan on developing trade and service sectors in the city until 2025 issued by the municipal People’s Committee in May 2018, according to deputy director of the Department of Industry and Trade of Hanoi Tran Thi Phuong Lan. Lan said the convenience stores are located on a small place but they bring all kinds of daily goods to consumers, from food and drinks to needles and threads, and from brush, toothpaste to stationery and phone memory cards. Even, the customers can pay electricity, tapped-water and telephone bills and withdraw money at the convenience stores. Besides that, most convenience stores also offer fast food and fresh food. Dinh Thi My Loan, chairwoman of the Vietnam Retailers Association, said it is easier to get operation permission for a store with an area of 500sq.m at most than permission on opening a supermarket or hypermarket. In addition, the opening of store will contribute to promoting store brand.